I never met Jobst Brandt. I moved to the Bay area in 2008, and soon developed an interest in cycling in the Santa Cruz mountains. As I sought more interesting routes through the mountains I inevitably became aware of Jobst Brandt and his extensive experience, writings, and influence. The first way Brandt influenced me was describing some of the great rides around here. Brandt's adventurous spirit and disdain for arbitrary restrictions inspired many of my exploratory rides. In my case, the influence often came second hand. For example, one of my first rides to Loma Prieta was directly inspired by Bill Bushnell's route, which in turn was suggested by Brandt. Many other rides were directly inspired by Ray Hosler, who carries the same spirit. Brandt also contributed to catalogs of climbs like the Stanford cycling routes page, which I used to rely on extensively. We're lucky that Brandt's later career coincided with the rise of the Internet, and specifically Usenet. I don't know where this sort of memoir, interesting and useful but without the polish or audience required for magazines, could have been published otherwise. Having said that, it's worrying how many of the reports are filled with broken image links. Another of Brandt's legacies is his extensive writing on bicycle-related engineering, including his strong opinions on myriad topics on rec.bicycles.tech, and of course The Bicycle Wheel. I'm an engineer (software, anyway) and appropriately skeptical of marketing disguised as innovation in the cycling industry, so I have a natural affinity for Brandt's attitude. But I'm also an indifferent and lazy mechanic, so I read it only as a spectator. 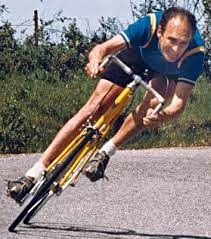 For me, Brandt's most direct influence was his annual cycling trip in the Alps. 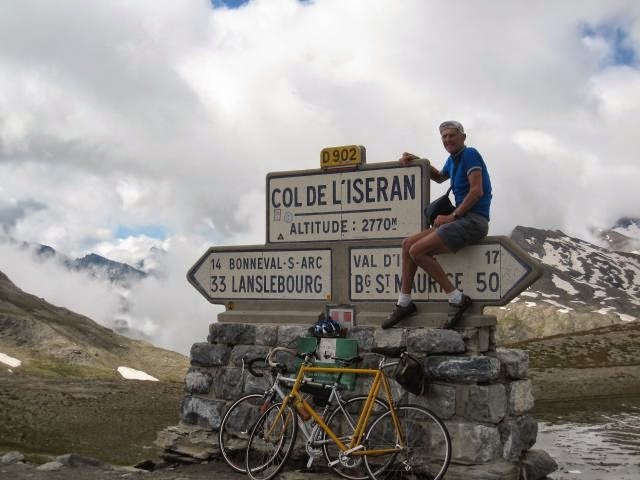 Every year he undertook a trip similar in scale to the Tour de France, carrying his gear on the bike and staying in hotels. That style of touring directly informed my trips in 2012 and 2014. Of course his days and his trips were vastly more arduous than my own; maybe someday I'll work up to that level. The influence continues. Brandt also often rode across the Sierra Nevadas and back; I may try that this summer. And he described a long ride through New Idria that sounded really interesting to me, but it was later closed by the Bureau of Land Management. It is reported to be open again; maybe I'll try that some time. Finally, I'm pretty old, so Brandt's example is especially inspirational to me. 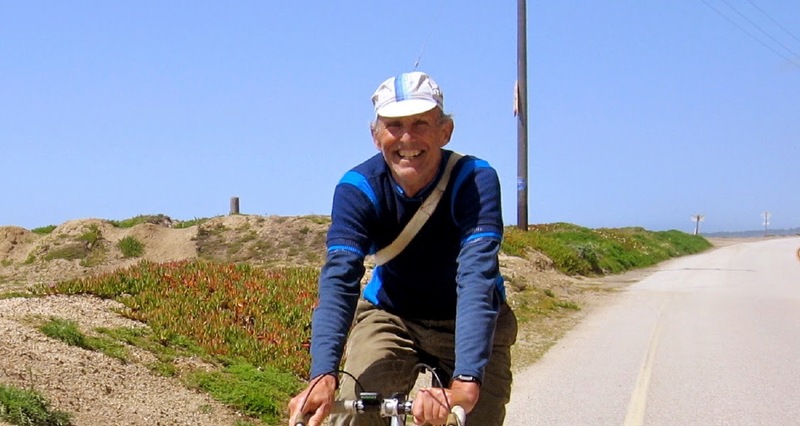 He routinely enjoyed long, all-day rides through the mountains well into his 70s. In 2010, for example, he reported a typical ride up Bonny Doon. 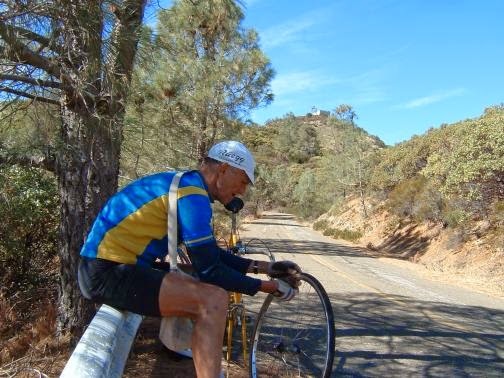 A ride of 110 miles and 8000 feet of climbing at 75 years of age? It would be impossible to believe from anyone else. Note the smile (from Bill Bushnell's blog). I'm sorry I never met Jobst Brandt. He's gone, but I continue to appreciate and benefit from his wisdom and his example. Rest in peace.